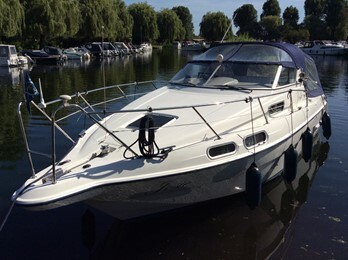 The sealine 240 is a well designed British built sports cruiser. The cabin and cockpit space provide a generous blend of space. 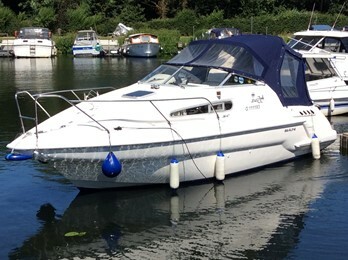 The sealine 24 is a striking British sports cruiser which makes clever use of the internal cabin space yet also features a large social cockpit. 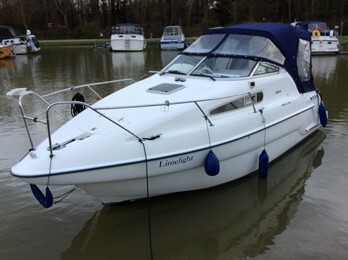 Sealine were founded in 1972 based in Kidderminster Worcester. 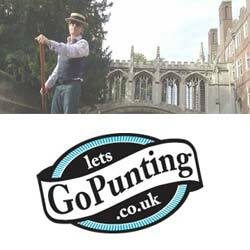 They were set up by boat enthusiast Tom Murrant. The company started with small weekender craft and have built up their range to produce large luxury offshore cruisers. Their designs are often quite individual and well thought out.